Taken at the closing in May, 2007, facing west. 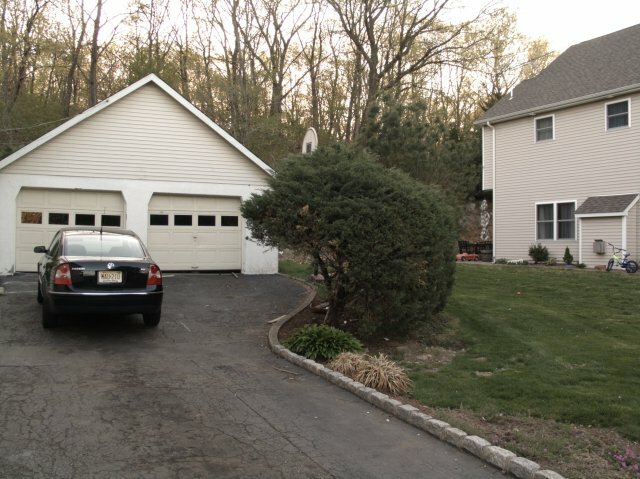 The property line extends about halfway through the lawn area at the right, running roughly parallel with the driveway. The L-shaped cut and patch in the driveway pavement was made to connect the house to sewers and town water in 1978, so the driveway hasn't been repaved since then at latest. Taken at the closing. Facing west from the north side of the garage. The garage appears to have been built perhaps in the '30s or '40s, the tongue-and-groove roofing deck and counterweighted wood windows (details visible from the inside) suggesting a pre-war vintage. In the center of the picture is our "mystery foundation". We're not sure what it was, but guess either an outhouse or a receptacle for burning trash. 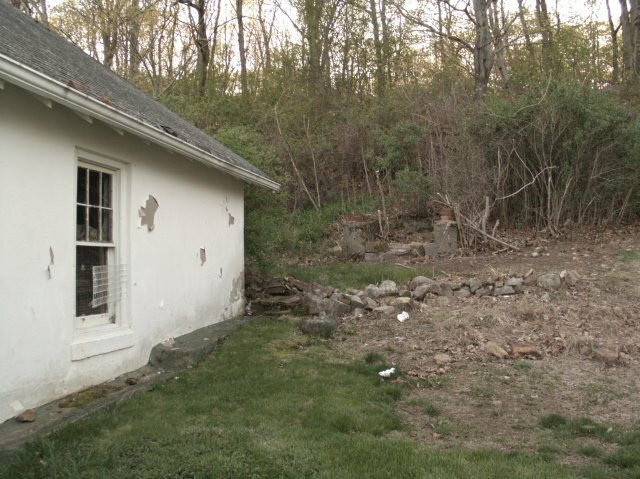 The right side of the foundation abuts the property line. Taken at the closing. Facing northwest from the south side of the garage. White paint flakes away over stucco. We've kept the large wooden gear as we found it an interesting and uncommon ornament. The entryway door was rather emblematic of the state of the entire place: a 30-inch interior French door set in a 32-inch wide frame, opening in a manner contrary to custom. 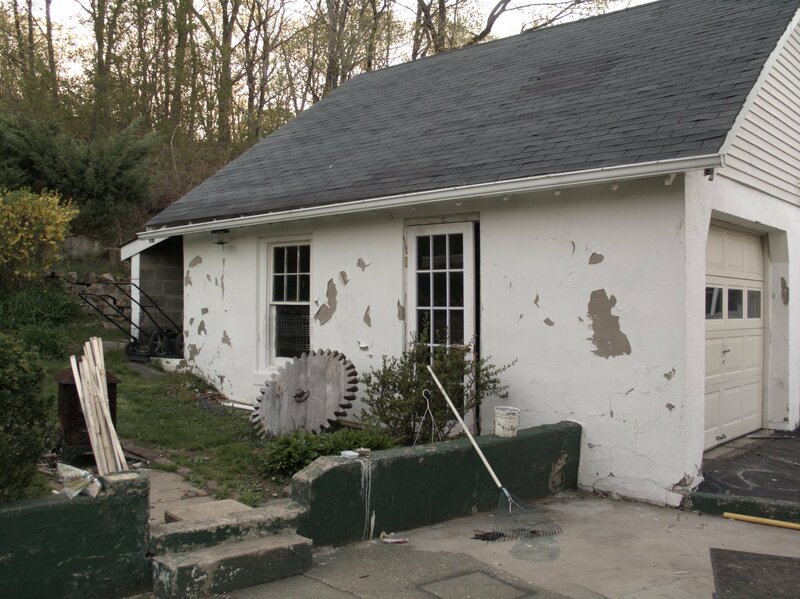 It has since been replaced by a correctly hung, white, faux-paneled steel door - a particularly fun project, as it necessitated the use of a large rotary hammer!